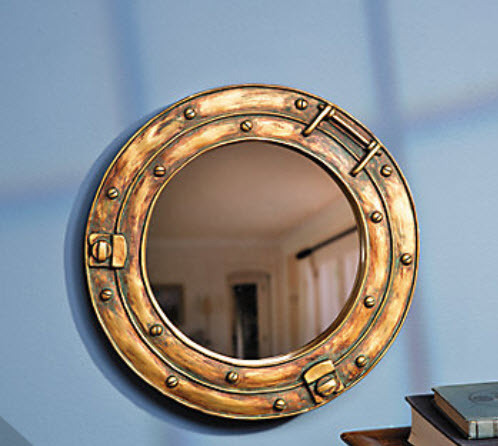 Add a realistic-looking Ship's accent to your home decor; this porthole mirror is a great way to make a traditional maritime architectural element. Use this fun but elegant decoration to add that extra touch to your home. Features Resin and glass 11-1/2" diameter.